TopQuiz is an where you can earn coins by completing quizzes and use the coins to participate in quiz contests to win Paytm cash. TopQuiz doesn't require you to deposit money. It's free. You can collect points by completing short quizzes from Bollywood, Cricket and Logos categories. Every quiz has 7 questions. For every correct answer, you'll get 1 coin. So, you can earn up to 7 coins per quiz. These are the quiz contests where you can win Paytm cash. But to participate you need to pay some entry fee. Entry fee is paid in the form of coins which you can earn by completing quizzes and referring your friends. Prizes are distributed according to the rank of the participants. Rank is determined by the time taken to answer all the questions and accuracy(number of correct answers). Invite your friends to TopQuiz and for each friend that enters your referral code, you both get 100 coins. You can redeem your points for Paytm cash. Now you can only use your coins to participate in the contest and win cash according to your rank. You can redeem the cash to your Paytm wallet. The minimum amount needed for redemption is Rs. 25. Although, it's a nice concept, the earnings are pretty low. You only get 1 point for one correct answer. So, if you do the math, you'll need to answer 300 questions (correctly) to redeem Rs. 2 and 500 questions to get Rs. 5 in your Paytm wallet. 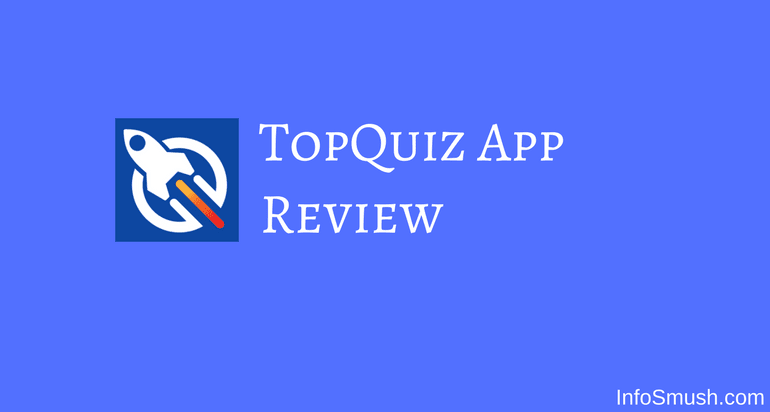 You can use TopQuiz in your free time. And use those coins to participate in the contests to win Paytm cash. 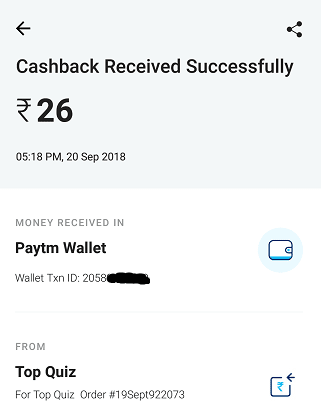 Earlier you had to collect coins and you could redeem them for Paytm cash but as you can see in the above screenshot the conversion rate was pretty high. Which caused users to hate TopQuiz and stop using it. Join the Infosmush channel on Telegram for more apps like this & updates. Your cash wallet is empty because you win Coins. If you win in contests with cash prizes, you should get money in your wallet.